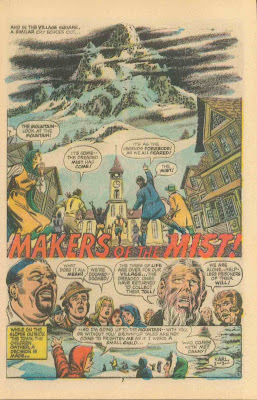 Savage Tales: Witching Hour #38: "Makers of the Mist!" 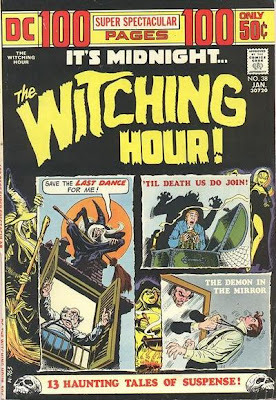 Witching Hour #38: "Makers of the Mist!" 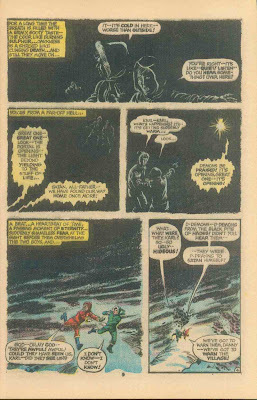 One of Murphy Anderson's specialties has always been science fiction. His earliest professional work was drawing Star Pirate and Life on Other Planets for Fiction House's Planet Comics in 1944. 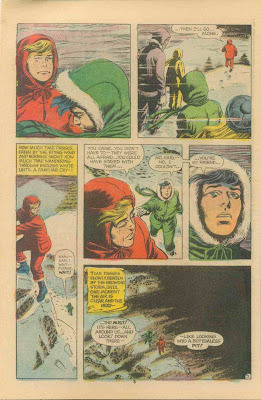 A fan of Buck Rogers since childhood, Anderson was given the opportunity to draw the daily strip in 1947. He stayed with it for two years, then quit, but was persuaded to draw Buck's twenty-fifth-century adventures again for a year in 1958. For Ziff Davis's brief fling with comic books, he worked on Amazing Adventures and Lars of Mars. Signing up with DC in the early 1950s, Anderson went on to draw such sci-fi features as Captain Comet, The Atomic Knights, and John Carter of Mars. Anderson's style changed some over the years, but always remained attractive, visually appealing, and easily recognizable. 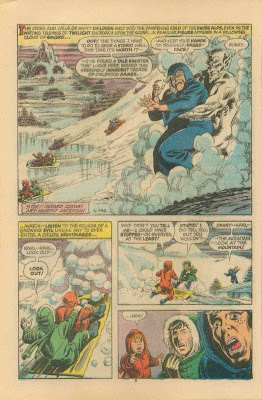 He was also an excellent inker and worked with Carmine Infantino on Adam Strange and with Gil Kane on both The Green Lantern and The Atom. 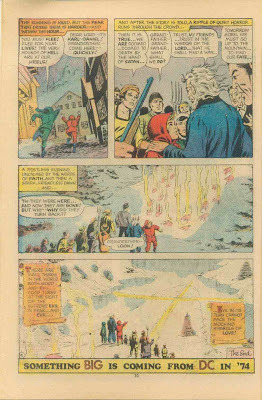 Murphy Anderson took over the production of the Army's PS Magazine after Will Eisner left it. Having formed Murphy Anderson Visual Concepts, he withdrew pretty much from comic books to concentrate on commercial art and producing color separations. His cartooning work in recent years has consisted mostly of re-creations of old comic-book covers (his own and others'), which can be seen on such magazines as Alter Ego and the 2003 edition of the Comic Book Price Guide. arg- Crypto-christianity! DC used to indulge in this nonsense every so often--still does, actually--Funny, since most of the writers and editors were Jewish, like me. 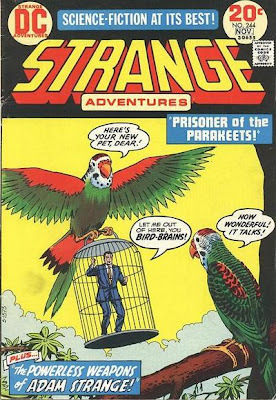 Creepy Things #3: "The Grass is Always Greener"
Green Lantern #188: "Mogo Doesn't Socialize"
The Vigilante #17: "Father's Day"
Conan the Barbarian #70: "The City in the Storm!" Space Family Robinson #46: "War in Space"
Conan Saga #31: "Red Sonja"
Ghost Manor #29: "An Old Man"
Astonishing Tales #17: "Target: Ka-Zar!" How Do I Open A ".cbr" or ".cbz" File? Howard The Duck #1: "Howard the Barbarian"
Alien Worlds #4: "Land of the Fhre"
Conan Saga #8: "The Song of Red Sonja"
Haunted Thrills and Fantastic Fears! 2. This Blog Formerly "Tales of Swords and Veeblefetzers"
Big Blog of Kids' Comics!